This is the first of 2 photos taken from the same place within 5 minutes of each other, this one was taken on positive paper (ISO 3) with an exposure of 2min 15 sec. 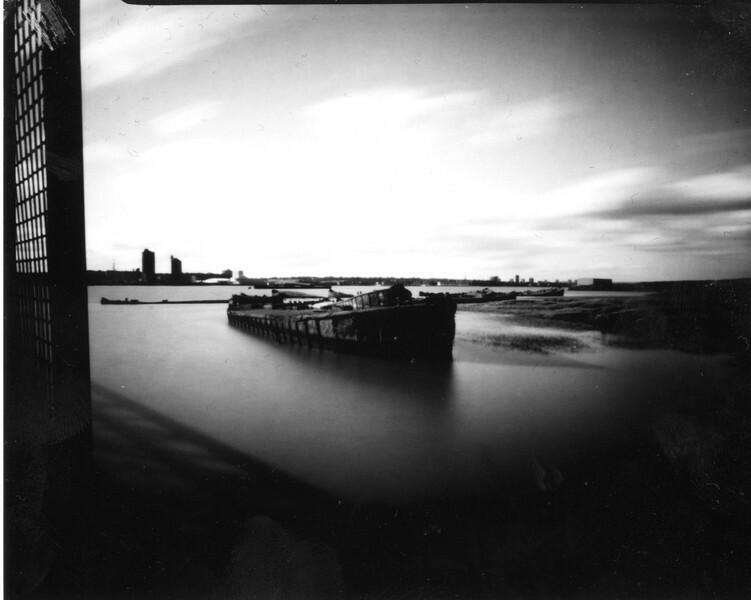 It is of a concrete barge, one of many which have been left along the banks of the Thames at Rainham, Essex. Originally used to ferry troops for the D Day landings but were left here in1953 to help protect the banks from the North Sea floods that devastated the East Coast of England as well as Belgium, Netherlands and Scotland.